I got this error today with OBIEE 11.1.1.7.0. Obviously, all my columns were in the select list. I found a few blogs and articles with people asking for help for that bug but none of them provided/found a solution. Here is mine. The error is thrown when sorting one specific column (a measure) of a Table with 14 columns ((5 measures, 7 dimensions columns including 2 hierarchies). All the others columns could be sorted without problem except one. 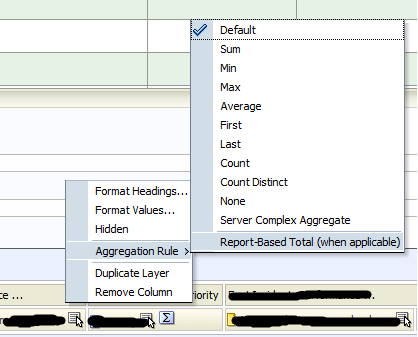 Uncheck “Report-Based Total (when applicable)” in the aggregation rule of your measure. That’s it ! 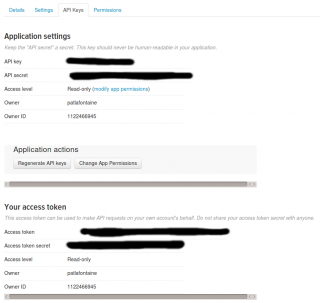 The information can be found in the API Keys tab of your Application. I suggest to read the Authorization Request page of the API Documentation to understand the specifications. Read it twice. The challenge with Kettle is to generate the HTTP Header. This is where the fun starts! Now that you have read Authorization Request page twice, you know that some information like OAUTH_NONCE and OAUTH_TIMESTAMPS have to be generated for each request. Before stepping into details, let’s see the big picture with an example. I will do a request using the Search/Tweet call and search for the word “#pentaho”. 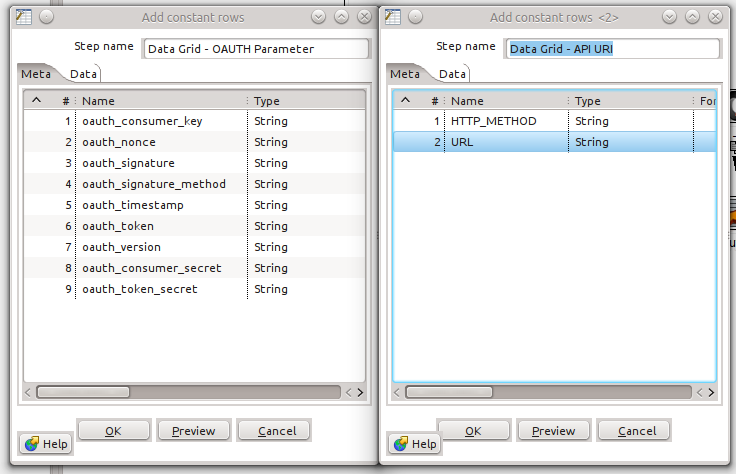 I use 2 different Data Grids, the first is all the static data needed to create OAUTH authentication. 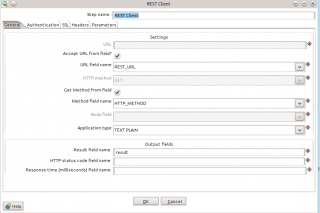 The second is the API URI and HTTP Method used to do the call. The OAUTH data grid is always the same whatever the call is, so it can be copied/pasted in other transformation if needed. It also allows creating a more advanced transformation using subtransformation. It is possible to achieve almost anything with the Java Script step. I used it to generate the HTTP Header with 2 libraries I found on Internet. All the credit goes to Netflix Inc and Paul Johnston for publishing the libraries that do the magic. I just added a few lines at the end of the script. Make sure to edit the variable URL_PARM at line 763 to reflect the specific parameters corresponding to the API Call. encodeURIComponent is used to “URL ENCODE” the string. * Copyright 2008 Netflix, Inc.
accessing data stored or served on another. language, but enable the programmer to access other web sites. Examples include Google Gadgets, and Microsoft Vista Sidebar. For those platforms, this library should come in handy. or an Array of name-value pairs [[name, value], [name2, value2]]. for example [["a", 1], ["b", 2], ["a", 3]]. Parameter names and values are NOT percent-encoded in an object. They must be encoded before transmission and decoded after reception. input elements of an form, whose value property isn't percent encoded. an oauth_timestamp parameter, whose value is a current Unix timestamp. Another option is to call OAuth.correctTimestamp with a Unix timestamp. /** Fill in parameters to help construct a request message. This function doesn't fill in every parameter. The accessorSecret property is optional. without causing trouble to anyone who was using it as a namespace. copy those properties into the new constructor. /** Subsequently, the given constructor will be used for the named methods. The constructor will be called with no parameters. The resulting object should usually implement getSignature(baseString). You can easily define such a constructor by calling makeSubclass, below. // delete subclass.prototype... There aren't any. + " " // because it comes before any character that can appear in a percentEncoded string. The oauth_xxxxxx variables come from previous Data Grids. The final result is the REST_HEADER and REST_URL. 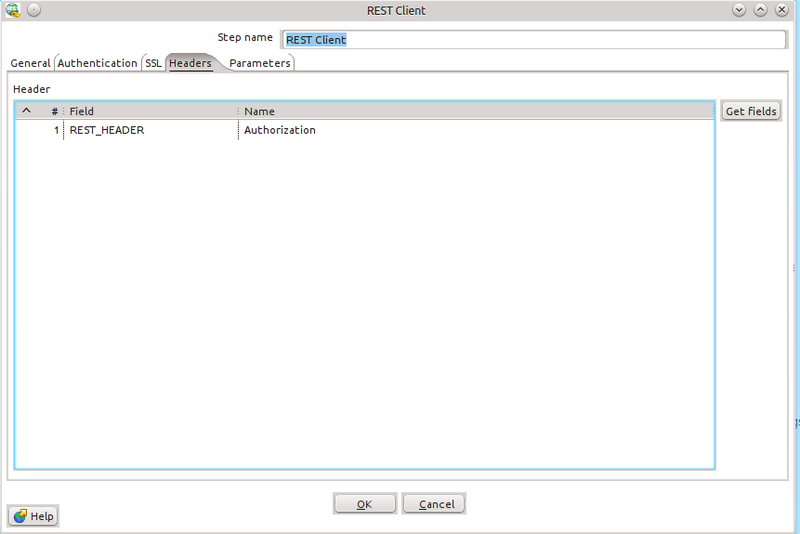 Both variables are sent to next transformation’s step (REST Client). 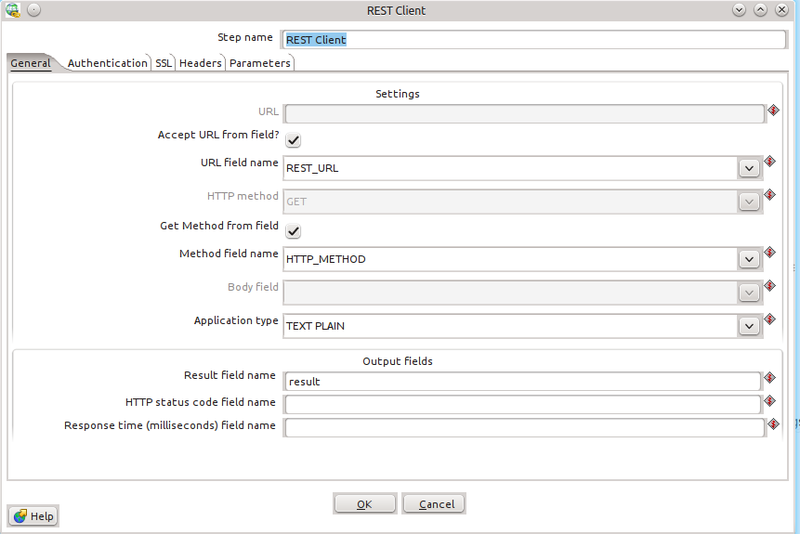 The Rest Client step is pretty simple because all parameters have been defined in the previous steps. The Headers tab enables you to define the content of any HTTP headers using an existing field. This is where the REST_HEADER variable is defined as Authentification header. The answer from Twitter is sent to the “result” variable. It could be the expected answer but it could be an error message too. A good error handling mechanism has to be developed. For the sake of the demo, I assume getting the expected answer. Twitter sends the result with a JSON format. The first “Text Output Raw Json” step is a debugging step I use to develop the transformation. It’s very useful to have the original JSON answer to build a good JsonPath expression in the JSON step. For the demo, I created 2 CSV, the first for the twit message and the second for each hashtags of each twit message. I found that starting spoon with a none-GTK3 theme fixes the problem.. It doesn’t crash anymore but I do have a lot of warning related to libgobject in the log. I tried to change the swt.jar to different versions but it didn’t change anything. I’m stuck with the insane amount of warnings, but at least I can use Spoon ! If you have a solution, please let me know ! Last week, I successfully installed Pentaho BI Server Community Edition. It wasn’t as easy as I expected. I did follow a really good tutorial from David Fombella at http://anonymousbi.wordpress.com/2013/12/15/pentaho-bi-server-5-0-1ce-mysql-installation-guide/ Like many people, I did have the famous 404 error. It’s not a big deal, there is no error that can’t be explained with the log files, right ? Be careful at step #5 and don’t forget to delete tomcat/conf/Catalina/localhost/pentaho.xml . Keep in mind that every time you modify tomcat/webapps/pentaho/META-INF/context.xml, pentaho.xml has to be deleted because it’s an exact copy of context.xml. 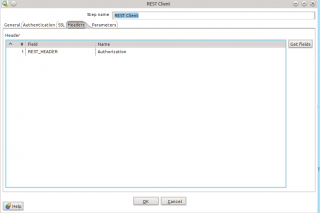 Don’t copy/paste the configuration provided in the tutorial for pentaho-solutions/system/jackrabbit/repository.xml (Step #6) because the CLASS attribute of the all the nodes is missing ! The XML file already has examples that you can copy past with all the nodes and the proper attributes. Pentaho.xml is not the only config file that is duplicated. I spent HOURS searching the node with the missing class attribute in JackRabbits’s repository.xml (yup, I did copy paste from the tutorial..). I ended up reverting all my modifications and I still had the missing class error in the log file, over and over. The fact is: if you do start pentaho with the missing class attribute in repository.xml, it will create a folder named pentaho-solutions/system/jackrabbit/repository/ which seems to have generated/copied files based on the configuration. The problem is it generates a file with a missing class attribute ! It took me too long to realize pentaho-solutions/system/jackrabbit/repository/ IS NOT PART OF THE DEFAULT INSTALLATION. It’s generated. If you screw up the config like me, DELETE THE ENTIRE FOLDER. So, if you are getting problems with the installation like many people, including myself have, just execute this every time you change a config file. It will allow to start with a clean environment. I hope it could save you time ! Recently, my hosting company Funio has replaced MySQL for MariaDB on their shared hosting infrastructure. Some friends working there told me they get better performance with MariaDB than their previous MySQL installation. MariaDB is a drop-in replacement of MySQL. This WordPress blog was first installed with MySQL, and suddenly and automagically runs on MariaDB. As a DBA, I was excited to use all the new features… but I realized that I’m pretty limited on Funio’s database infrastructure since I’m just a simple user…! So, just for fun, I changed the engine of all my tables to ARIA. It’s the least I can do. ARIA is a crash-safe alternative to MyISAM and according to plans, it will become Transactional in the next major release. I don’t expect it to be as fast, reliable and robust than InnoDB (or XtraDB.. the altered version of InnoDB developed by Percona and included in MariaDB), but it’s definitely a good “hybrid” solution between MyISAM et InnoDB. I didn’t experience issue since the changes, so if you are a WordPress user, don’t be afraid to give it a try ! Upgrading PDI from one version to another is a pretty easy task. You just have to download the latest version and overwrite your existing “data-integration” folder (in fact, I don’t recommend to overwrite.. create a new copy aside the other!) . There is a few blog posts and an official documentation to do it properly. However, what all these blogs do not tell is what kind of problem you can expect after the upgrade. Almost every step from newer version are compatible with the older one. That is true. But there are a few steps you should especially care about. This is the problems I personally faced. The first is in Spoon with the Zip File Step. I wasn’t able to open the popup to edit the step. There is no workaround. You have to delete the step and recreate it. 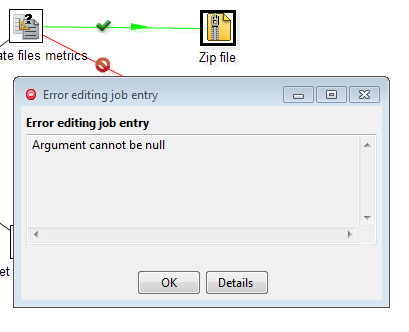 I reported the bug: Zip file Step from PDI 5.0.1 is not compatible with older versions of PDI. It’s not related to the upgrade, but I also found a bug when you append a file to an existing zip with 5.0.1. Make sure you have a semicolon at the end of your statement and uncheck “Send SQL as Single statement”. I didn’t fill a bug report for this one.. I sometime have the following error in the log.. It appears randomly and does not produce any obvious problems. So it’s a bit annoying to debug.. The last things I noticed is a bit disappointing. I explained it in a previous post. PDI 5.0.1 is a little bit slower than 4.3. After updating Pentaho PDI 4.3 to 5.0.1, I noticed that my ETL process took 45 minutes longer to execute. So I ask myself if the new version is really slower than the old one .. I compared the two kettle versions with the same transformation (a single Table Input to Ouput a Table). Same database, same table, same driver, same everything except PDI release (4.3 and 5.0.1). 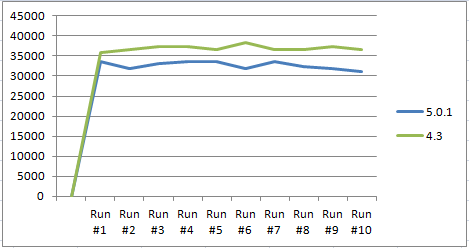 Yes, Pentaho Kettle 5.0.1 is slower than 4.3. Sad but true, but this is not a deal breaker considering the new features that come with it. I found a thread on Pentaho Forum about Table Output Performance. It gives a really easy way to speed up your table output.. A LOT! Some people have been able to reach 84k rows/sec using the method. It is not a joke. It works. It really does. It allows to insert many rows with a single statement instead of one row per statement. Also, useCompression reduce the traffic between the server and pentaho. I used a 869mb CSV file (5248714 rows) from my Laptop and transferred it to an out-of-the-box MySQL installation on a cheap VPS server (1 CPU, 1gb ram) with a poor network in Europe (yep.. across the ocean). The expected performance is a very slow transfer. I set the number of copies to start of my Table Output to 4 and commit size to 1000. Here is the result without the options: I reached 52 rows/seconds. The same test, but with the 3 connection parameters: 3674 rows/second ! Wow ! 7000% faster ! 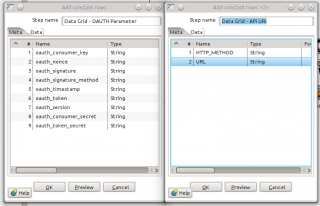 There are 2 well known ways to create a CSV using MySQL. But there is a technique I’ve been using for many years that most blogs and forums don’t talk about. I do believe it’s worth showing the technique I use since it’s faster. And the technique I use is by using the CSV storage engine. Obviously, it requires to have the privileges to read the mysql datadir. Also, keep in mind the CSV engine doesn’t support nullable columns. What I like with that third technique is I don’t have to remember the complex syntax of the other techniques. It’s pretty straight forward.